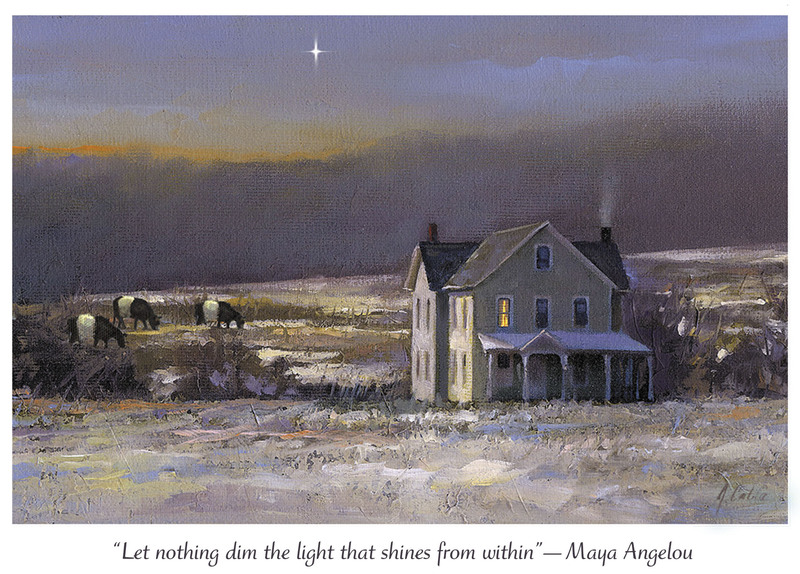 Let the light of Christmas shine bright. Simple bounties in the coming New Year. 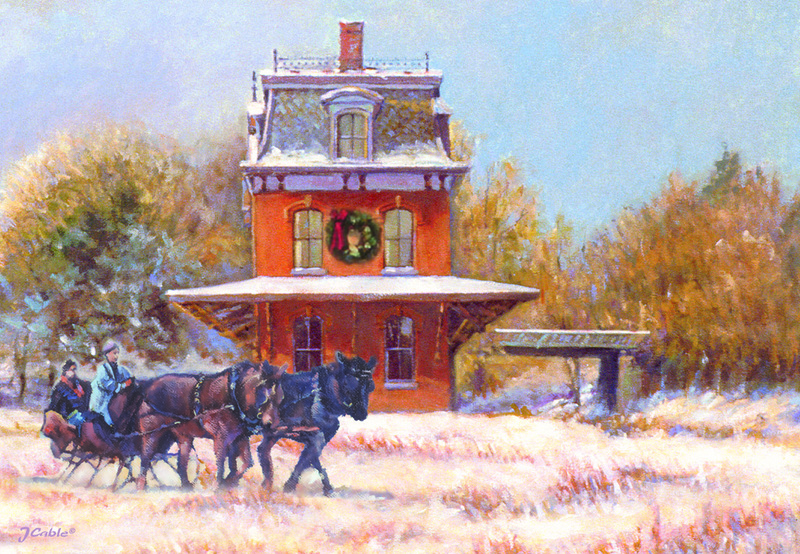 This card has been reproduced from a painting by Bucks County, PA artist Jerry Cable. The card is 5” x 7” folded, and has a matt finish on the inside for easier handwriting. Cards are printed on fine quality card stock with matching envelopes. The cards come 15 per box at a regular retail price of $20. As the artist and publisher, I’m pleased to offer you a special price of $18 per box (plus shipping and handling). The cards are ready for shipping. To place your order please download the order form promoback.pdf and return it with your payment. and health and happiness throughout the New Year. 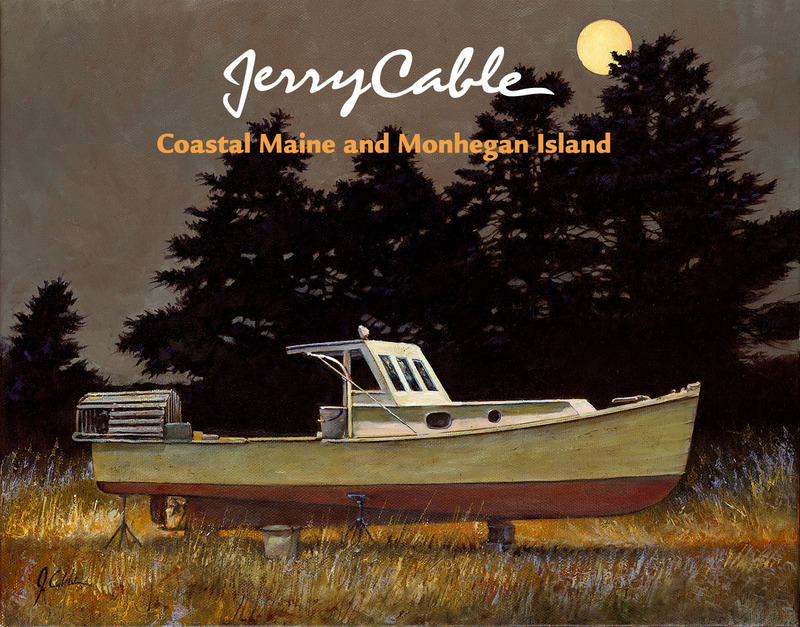 This card has been reproduced from a painting by Stockton, NJ artist Jerry Cable. The card is 5” x 7” folded, and has a matt finish on the inside for easier handwriting. Cards are printed on fine quality card stock with matching envelopes. The cards come 15 per box at a regular retail price of $20. As the artist and publisher, I’m pleased to offer you a special price of $18 per box (plus shipping and handling). The cards are ready for shipping. To place your order please download the order form promoback.pdf and return it with your payment. peace and prosperity this blessed New Year. 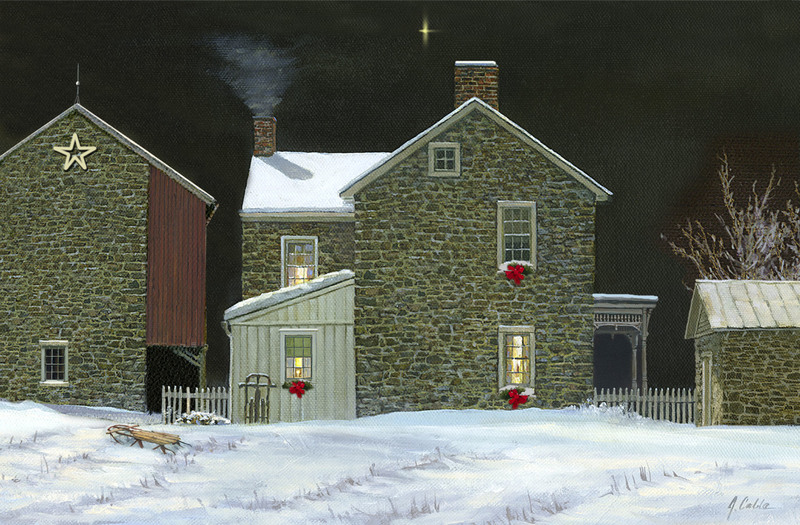 pleasures at Christmas and good cheer throughout the New Year. 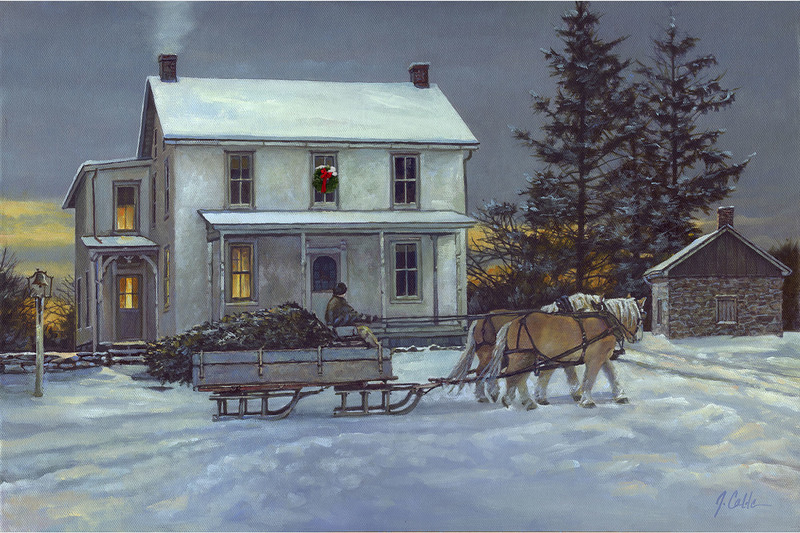 Christmas season and throughout the New Year. 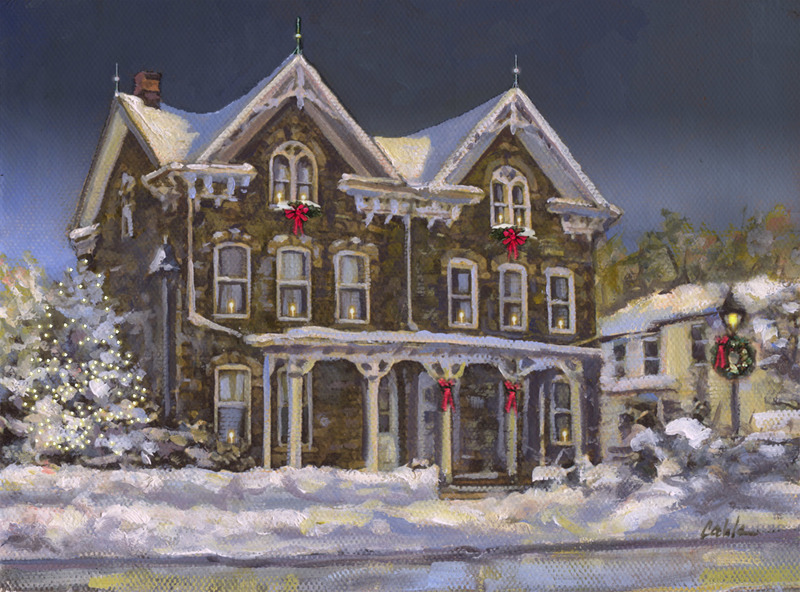 To Commemorate the 300th year anniversary of the Stockton Inn artist Jerry Cable has released this special edition giclee printed on canvas. 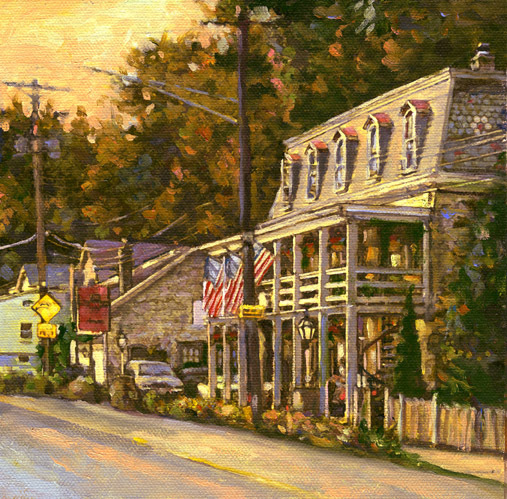 His painting captures the romance of the historic Stockton Inn on a late summer evening. The framed print is signed by the artist and can be personalized by adding a gold plate engraved with your wedding date, anniversary, or other special occasion. Framed Price $250.00 plus shipping and handling.